The Equal Employment Opportunity Commission (“EEOC”) is also cracking down and taking an aggressive stand on employers who discrimination against employees for their religious beliefs. In a similar case, on December 23, 2016, the EEOC issued a news release alleging that Saint Vincent Health Center denied religious accommodations to employees who did not wish to take a mandatory flu vaccine for sincerely held religious beliefs, however granted 14 vaccination exemption requests based on medical reasons. All religion-based exemption requests from employees were denied. “Under the policy, employees who received an exemption were required to wear a face mask while having patient contact during flu season in lieu of receiving the vaccination. Employees who refused the vaccine but were not granted an exemption by the Health Center were fired” according to EEOC’s lawsuit. Because of the Saint Vincent Health Center’s discrimination, it was forced to pay $300,000 constituting back pay and compensatory damages to a class of 6 former employees and provide substantial injunctive relief to settle a religious discrimination lawsuit brought the EEOC. All people with sincere religious beliefs must be treated equally, regardless of whether their beliefs are shared by their church hierarchy, so long as the religious practice does not impose an undue hardship. The EEOC explained that under Title VII, an accommodation “may cause undue hardship if it is costly, compromises workplace safety, decreases workplace efficiency, infringes on the rights of other employees, or requires other employees to do more than their share of potentially hazardous or burdensome work.” Whether something is an “undue hardship” is a factual question that is best left to a jury. 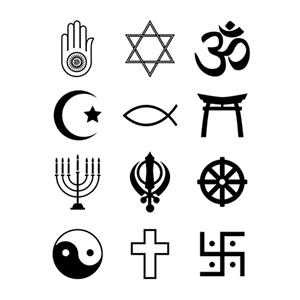 Moreover, employers must conduct individualized evaluations of employees’ requests for accommodation based on religion or disability. Many hospitals have strong arguments for requiring staff to receive flu shots, such as the safety of patients that may be especially vulnerable to contracting the flu and patients who a normally mild case of the flu may become deadly. For instance, when evaluating “undue hardship” there is a stronger argument to be made by a hospital if an employee works in a children’s facility or works with immunosuppressed kids with cancer than an employee working in a chiropractor’s office where the risk is less. Patient safety should be a top priority, however it cannot be at the expense of American values and freedom of discrimination based on employees’ religion. There may be legitimate ways to protect patients and address hospitals’ other concerns, such as requiring unvaccinated employees to wear masks or encouraging sick employees to stay at home. The Title VII protects not only people who belong to major organized religions, such as Buddhism, Hinduism, Islam, Christianity, and Judaism, but also others with sincerely held religious, ethical or moral beliefs. Likewise, for employees living in the State of New York, or New York City, there are additional protections. The experienced New York City sexual harassment attorneys at the Derek Smith Law Group, PLLC have years of experience litigating claims of gender discrimination. Working together with our Philadelphia sexual harassment attorneys, we have recovered millions on behalf of our clients who were discriminated against because of their gender. If you feel you have been discriminated against because of your gender, please give our attorneys a call, toll free, at 1877 4NYLAWS, for your free consultation. Call us today to schedule a FREE sexual harassment or employment discrimination legal Consultation in NY, NJ & PA with one of our top rated employment law or sexual harassment attorneys here at the Derek Smith Law Group. You can reach us online or by calling 877.469.5297. Our New York City, New Jersey and Philadelphia labor & employment law attorneys handle a variety of cases involving sexual harassment, racial discrimination, pregnancy discrimination, and other employment-related claims. We serve clients throughout New York, including Manhattan, Brooklyn, Queens, the Bronx, and Staten Island. We also have offices in New Jersey, Philadelphia and Miami to serve you.